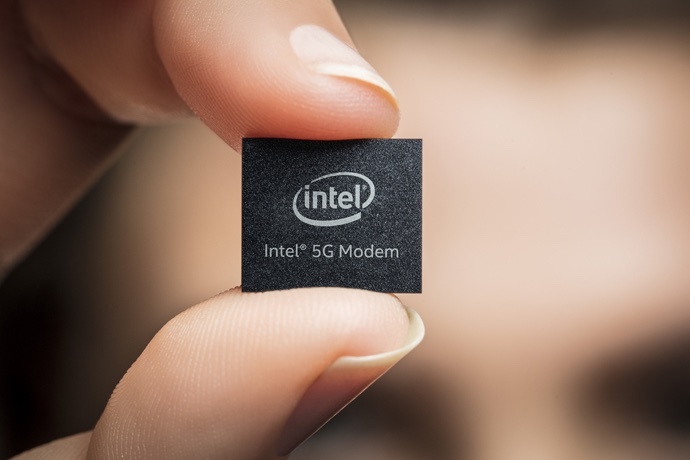 Intel is having trouble meeting deadlines for the XMM 8160 5G modem that Apple is counting on to add 5G connectivity to its 2020 iPhone lineup, reports Fast Company. Citing a source with knowledge of Intel and Apple's relationship, Fast Company says that Intel has been missing developmental deadlines on the 5G chip, leading Apple to lose confidence in Intel. For a September 2020 launch, sample chips need to be provided to Apple this summer, and a finished modem design needs to be available by the beginning of 2020. Intel has said its chips will be in mobile devices by 2020, and has plans to ship the 8160 5G chip in the second half of 2019, but it's not clear if it will make those target dates. Apple began using Intel chips alongside Qualcomm chips with the launch of the iPhone 7 and iPhone 7 Plus, and in 2018, Intel was Apple's exclusive LTE chip supplier for the iPhone XR, XS, and XS Max following Apple's legal woes with Qualcomm. Rumors have suggested that Apple is planning to introduce 5G connectivity in the iPhone in 2020 and is relying on Intel's chips to do so. Intel and Apple's relationship is said to be tense, and on the Intel side, there have already been three project managers overseeing the development of the modem. Apple has been holding talks with Samsung and Mediatek about supplying modem chips in the near term, but neither company may have chips ready for 2020. Fast Company's source says that it would make the most business sense for Apple to go back to Qualcomm, but given the ever-increasing legal tensions between the two companies, that seems unlikely. Apple is preparing to develop its own modem chips in house so that it doesn't need to rely on either Intel or Qualcomm, but those chips are not going to be ready in time for a 2020 5G iPhone launch. I'll be honest, I'm sick of the Qualcomm issue. Just pay a few bucks and keep up with the rest of the 5G world until there are alternative chips. I’m fine with LTE for now. It’s not like i can do anything useful in the phone form factor with near-gigabit internet anyway. Fast Company says that Intel has been missing developmental deadlines on the 5G chip, leading Apple to lose confidence in Intel. Just wait for Intel to cancel the chips altogether, citing an inability achieve their high standards. Well, my Xr’s modem has been surprisingly good. I don’t think I’ll be seeing any 5G service from AT&T in my area even in 2021, so... whatever. 5G capability didn’t even factor into my Android purchase. 1.) Marketing. 5G Android phones will be releasing soon. Next year they will all be 5G. 2.) Future-proofing. Apple loyalists may not jump to Android to get 5G capable phones, but many just wont upgrade their iPhones until Apple offers a 5G capable phone. 3.) Image. Apple’s image is already taking a hit. They’re offering fewer features, dated hardware for higher prices. Offering last-generation-network-access-only doesn’t help their image. The latest rumors today say (possibly) no 5G iPhone until late 2021 (at the earliest). That’s a long ways away. 5G will be well known, heavily marketed and readily available between now and then. 2.5 years is a lifetime in tech years. Apple’s foolish Qualcomm battle has painted them into a corner they don’t want to be in. Apologists will come out in droves defending Apple and downplaying this issue, but it’s exactly that: an issue. If the Galaxy Note 10 has a 5G version with the Snapdragon X55 modem, consider me gone. Apple is simply too lazy, too entitled and too disingenuous to keep me around. I’m fine without 5G, in real world usage 4G has been fine to me. 5G on the other hand exhibits a much higher radio frequency, and there isn’t much study to prove it is ‘safe’. Lesson to Tim Apple: Dont burn bridges when you’re still crossing them. Remember when the rumours here were about the PowerBook G5? Couldn’t happen because chip supplier couldn’t fulfil their requirements... so they went to intel. lol.